Monograph 1 is available free by digital access. 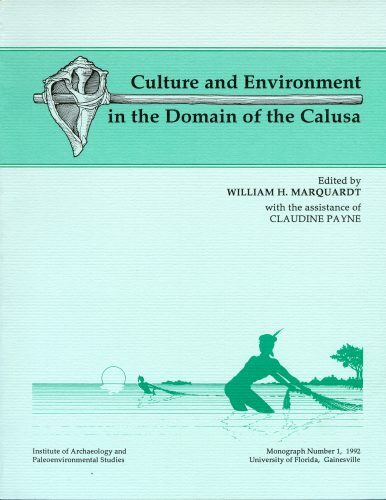 In our work, we often consult Culture and Environment in the Domain of the Calusa, Monograph 1, edited by William H. Marquardt with assistance by Claudine Payne. 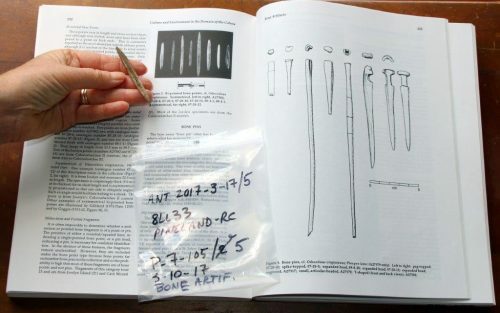 Published in 1992, it serves as a reference for artifact types, details how zooarchaeology uncovers clues about past environments, establishes a research framework, and more. Print versions are scarce but anyone with internet access can read or download the monograph through the University of Florida George A. Smathers Libraries. Search for http://ufdc.ufl.edu/AA00006131/00001 in a browser or open the main page of the Smathers Libraries and type the title into the OneSearch task bar. Also, the Smathers Libraries, in collaboration with the LibrarayPress@UF with funding from the National Endowment for the Humanities and the Andrew W. Mellon Foundation, has made available 39 books considered “classics” in topics related to Florida’s pre- and more recent history. Of particular interest are Archaeology of Precolombian Florida by Jerald T. Milanich, First Encounters: Spanish Explorations in the Caribbean and the United States, 1492 – 1570 edited by Jerald T. Milanich and Susan Milbrath, and Florida Indians and the Invasion from Europe by Jerald T. Milanich. You can read or download the books in the series at http://ufdc.ufl.edu/openbooks .